The aircrafts safely returned to their base after carrying out their mission, the LTTE said. 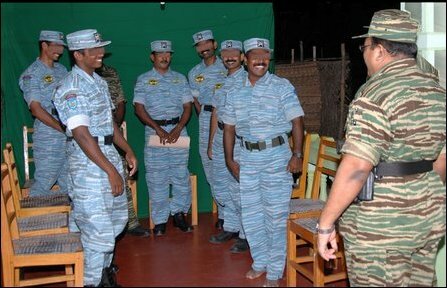 The Tigers issued photos of the Air Tiger fighters with LTTE leader Velupillai Pirapaharan. 24.04.07 Barrage of gunfire as Tiger aircrafts complete bombing raid,..